Strata Group company Sovereign Signs were invited to the event after being shortlisted for a number of awards. 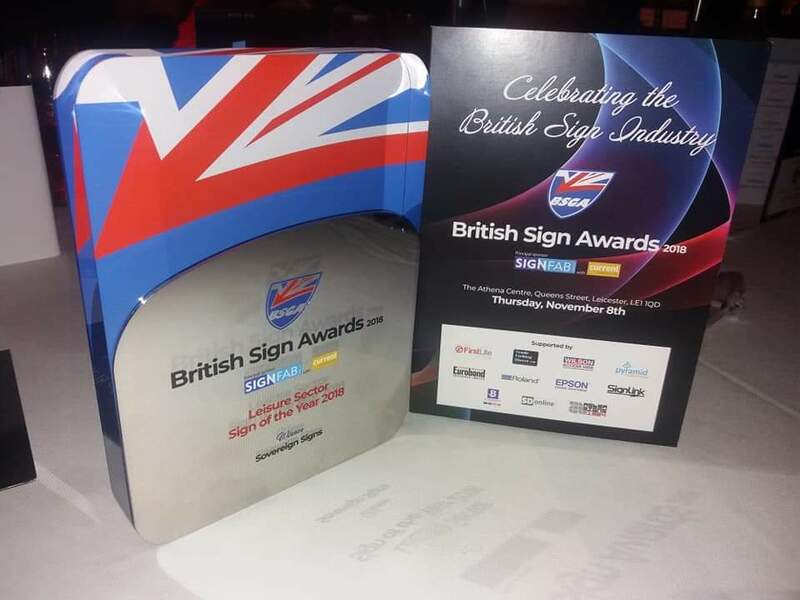 These awards included; Retail Sector Sign of the Year and Leisure Sector Sign of the Year. We'd like to take this opportunity to thank those who nominated Sovereign Signs, our fantastic clients, everyone who attended the awards, and a huge congratulations to the whole Sovereign team from everyone at the Strata Group.